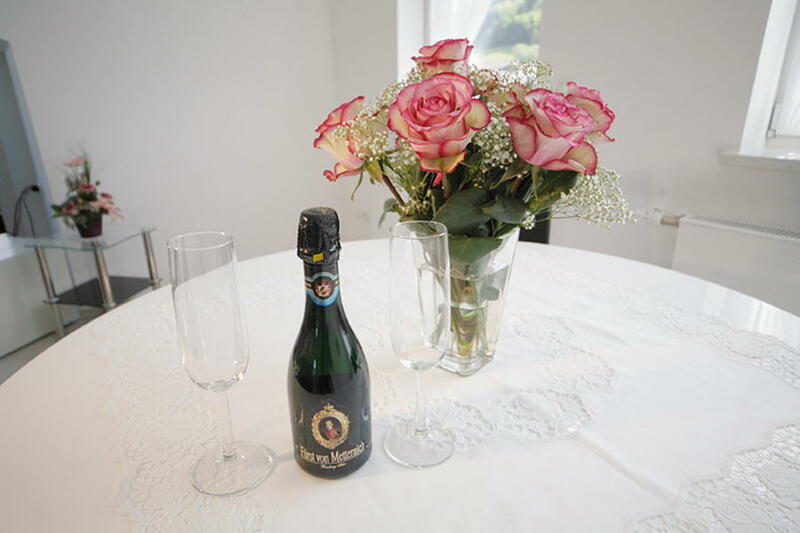 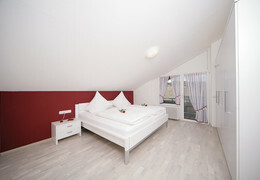 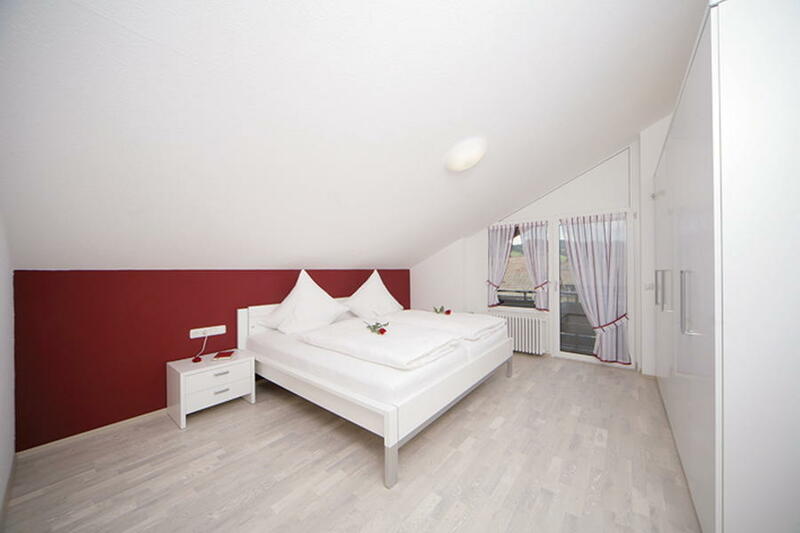 Newly renovated, light-flooded & lovely arranged holiday apartment in the attic which makes our guests feel comfortable. 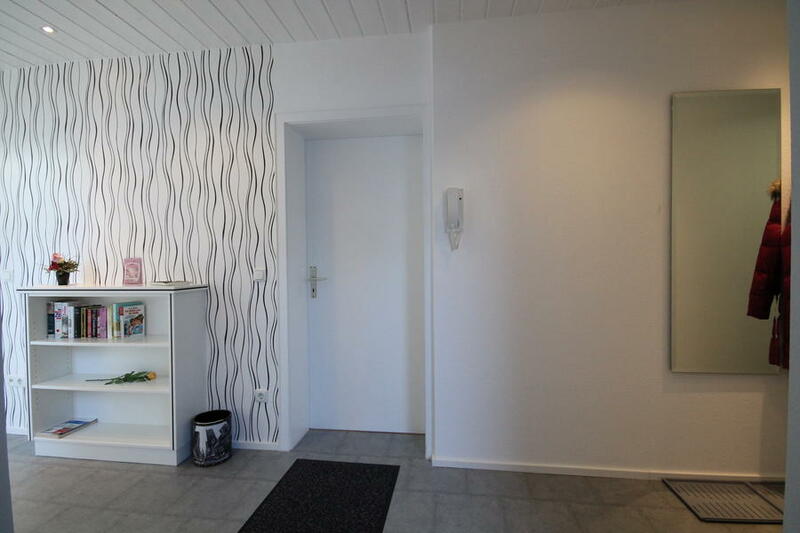 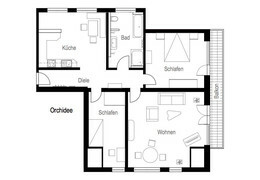 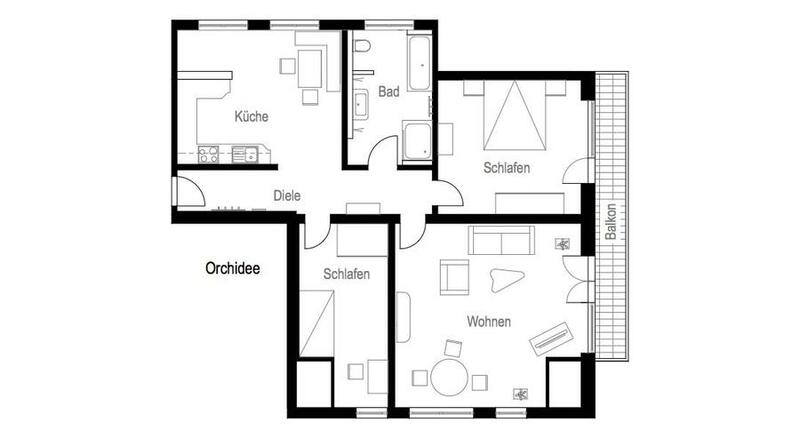 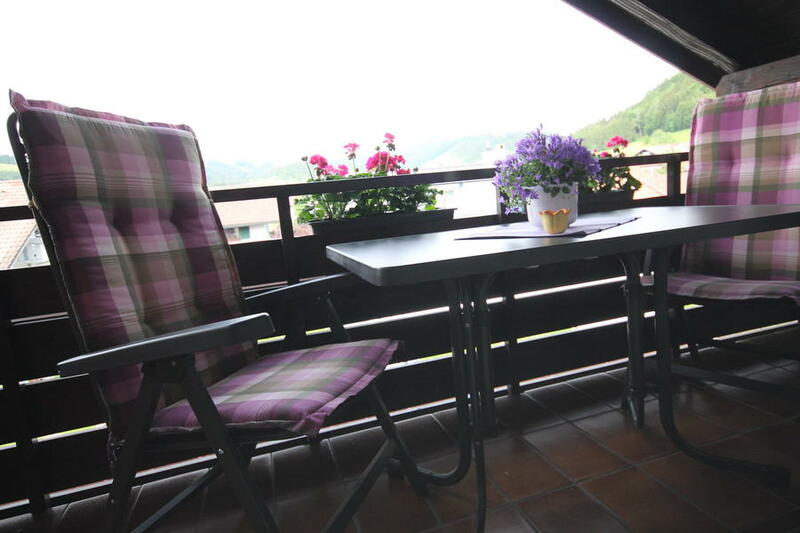 It has 90 m2 and is ideal for 2 - 3 persons. 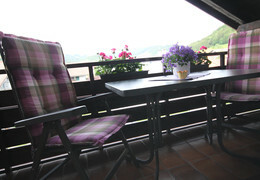 The balcony with a table and a cosy seating accommodation offers you a great view of the mountains. 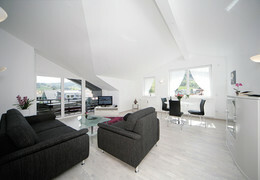 A spacious and tastefully furnished living room with cable tv, radio, cd player as well as complimentary DSL internet access. 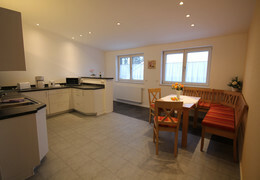 A seperate, fully equipped kitchen. 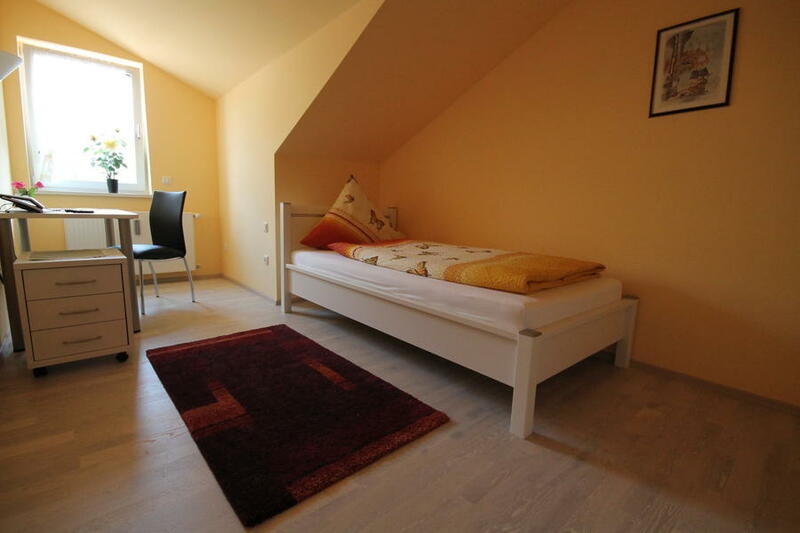 A big, tastefully furnished bedroom with a king-size bed. 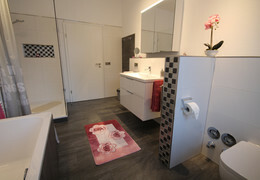 Bathroom with bathtub, washbowl, mirror cabinet & toilet. 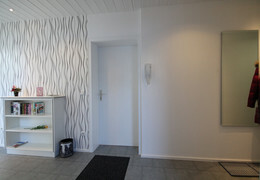 Entrance hall with a wardrobe.